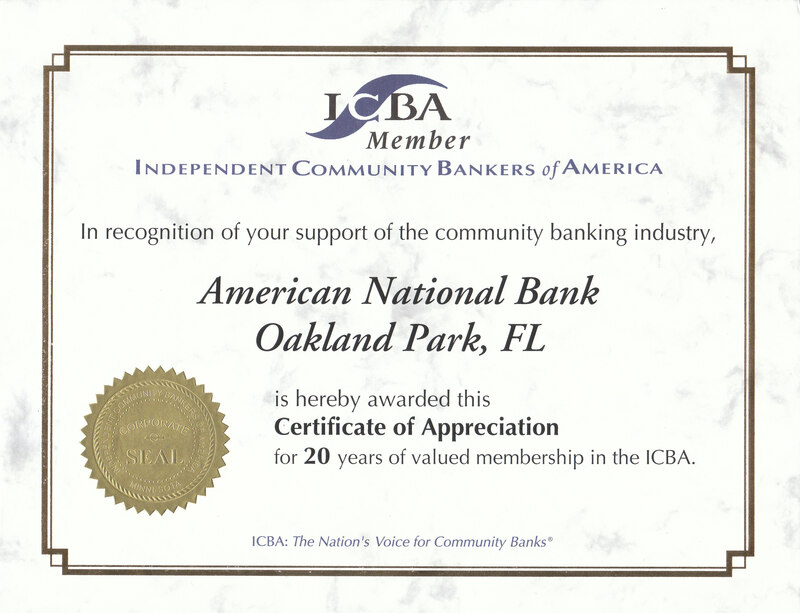 American National Bank proudly celebrates 20 years as a member of the Independent Community Bankers Association (ICBA). The ICBA is the nation’s voice for community banks, representing nearly 5,000 community banks of all sizes and charter types throughout the United States and is dedicated exclusively to representing the interests of the community banking industry and the communities and customers they serve. For more information, visit www.icba.org. This entry was posted on Wednesday, September 28th, 2011 at 2:02 pm and is filed under Uncategorized. You can follow any responses to this entry through the RSS 2.0 feed. You can leave a response, or trackback from your own site.